Nothing takes me by surprise, says the LORD. I know the end from the beginning and everything between. You can see a little ahead as you anticipate the future, but I KNOW everything in advance. I see clearly every pitfall that the enemy has planned for you, and know the very things he is devising in secret, for nothing is hid from Me. As I direct your path and also order every step that you are to take, I Am way ahead of you. I will warn you of the secret plots against you and prepare a way of escape for you, says the LORD. 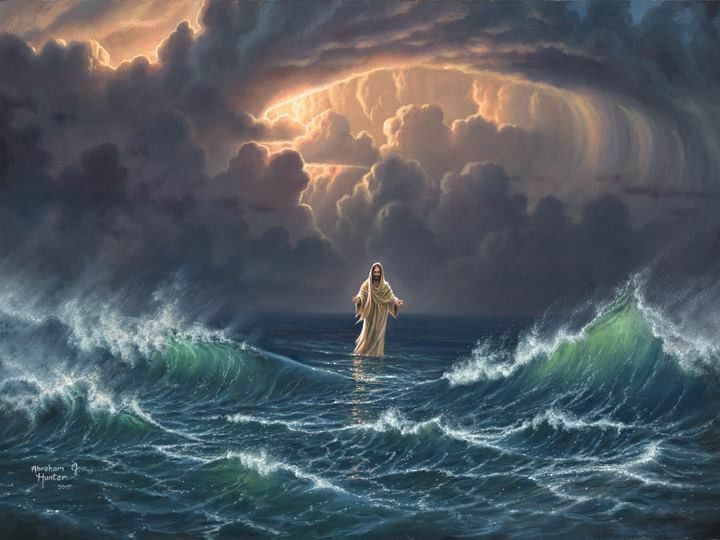 The sudden storms that you face are in My foreknowledge as well, says the LORD. I will secure you in the most violent storms in life as I keep you in the palm of my hands, comfort you in any sorrow and help you to get make it through them safely. I will be with you to give you wisdom, knowledge and understanding that you need, just for the asking. In every time and season that you will go through, I will be with you as a friend that sticks closer than a brother, and you will not face uncertainties alone. I will be your counselor, your companion, and your ally. I Am your sufficiency at all times, and you will know that I AM always right there by your side, and you will never be alone, says the LORD. THANK YOU MY FAITHFUL FATHER GOD, SO SHALL IT BE FOR ME, ACCORDING TO YOUR WORD, IN JESUS NAME, AMEN AND AMEN! Amen! Thank you LORD ALMIGHTY! Thank You, Lord, for Your TLC, BLESSED ASSURANCE and GRACE !!! Have MERCY on me, a SINNER !! !